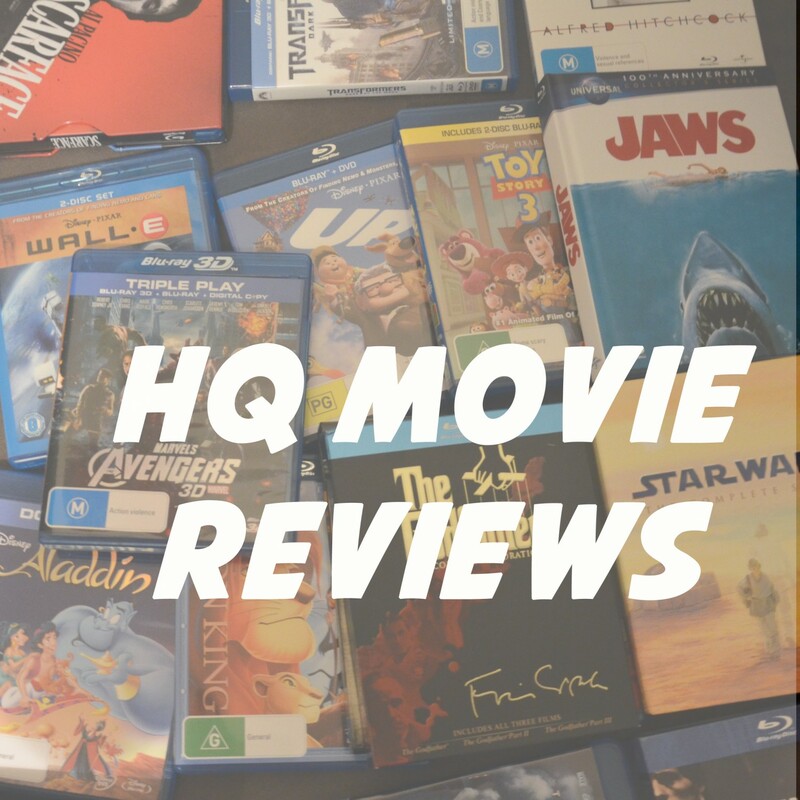 HQ's Movie Reviews, Film Trilogy Reviews, Film Franchise Rankings and more! I love going to the movies! Dominic Toretto: I used to say I live my life a quarter mile at a time and I think that’s why we were brothers – because you did too. No matter where you are, whether it’s a quarter mile away or half way across the world. The most important thing in life will always be the people in this room, right here, right now. Salute mi familia. You’ll always be with me. And you’ll always be my brother. Synopsis: After the death of a close ally, Dominic Toretto, brings his gang back together to seek revenge and also go on a worldwide mission to help the government get their hands on a new form of GPS tracking equipment that can trace anyone in the world. Unfortunately franchise fatigue and tragic behind the scenes events weigh heavy on the seventh instalment of the Fast and Furious saga. It has been said again and again but it is quite the feat to have a b level action film from 2001 with no stars or credibility to go on to become a billion dollar franchise over ten years later. After the original The Fast and the Furious (2001) was a surprise hit and made street car racing popular the studio quickly went on to develop a sequel with the partnership of Vin Diesel’s stoic bad boy car racer, Dominic Toretto, and Paul Walker’s good boy charming undercover cop, Brian O’Conner to recapture the magic of the original. However Diesel didn’t want to be a part of it (believing he’d have a stronger career in more dramatic roles) so the studio went ahead and replaced him with Tyrese Gibson’s bad boy, Roman, who was essentially a more charming version of Toretto in 2003’s 2 Fast 2 Furious (great title). Then in 2006 Universal released The Fast and Furious: Tokyo Drift, which essentially strayed away from the buddy cop genre conventions of the previous two and went with a new story revolving around a troubled youth who has to move to Japan and discovers car racing and drifting. The film was the least successful of the franchise but did introduce Sung Kan’s Han who would become a series regular. The film also ended with a surprise cameo from Vin Diesel tying the film to the franchise. Perhaps the most important asset the third film brought was the introduction of director Justin Lin who would go on to re-establish the franchise for the better. In 2009, Lin brought the original four back together with the reunion of Vin Diesel, Paul Walker, Jordana Brewster and Michelle Rodriguez. It was a fun reunion and was a huge success at the box office showing that the franchise could live on. In 2011, Lin directed the best in the series with Fast Five, taking the gang on a wild heist and introducing Dwayne ‘The Rock’ Johnson’s Hobbs a federal Marshall on the hunt for Toretto. Johnson brought swagger and charm to the role of Hobb’s and Lin brought breathtaking action sequences to new heights and the series was now a phenomenon. In 2013, Lin made his final bow with Fast Six, which was another action masterpiece with incredible set pieces. However Lin decided to leave the franchise when Universal wanted to rush production and have Furious Seven released a year later. James Wan, successful from horror hits such as Saw, Insidious and The Conjuring was brought in to complete the film. Wan a talented director wanted to explore an action film and things were on the way however only months into production, Paul Walker tragically passed away in a car crash. 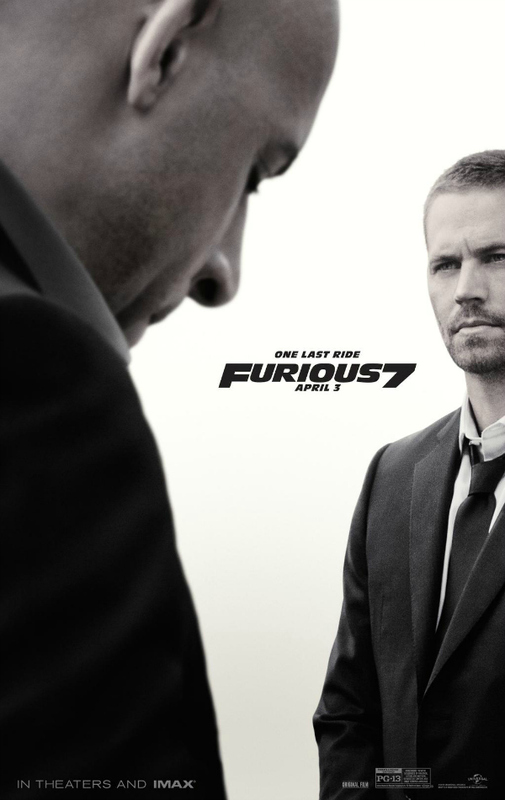 The film appeared to be over however with time away and further negotiations, Diesel and crew decided to complete the film as a tribute to Walker. With CGI, Walker’s brothers as stand ins and existing footage they were going to complete the scenes of Brian and also send him off with a farewell from the team/franchise. With Walker’s death changing everything the film suffers on two levels. One it is hard to watch Walker drive into death defying situations without feeling uncomfortable knowing he died in reality doing the same sort of thing. Also his later scenes feel clunky with him speaking on the phone filmed from his back or fighting Tony Jaa in the dark to obscure his face it shows that despite their noble efforts the filmmakers still couldn’t hide the fact that Brian was no longer played by Walker. Also the films narrative switches to accommodate his characters departure from the franchise. Although in previous films Brian partnered with Torreto’s sister, Mia (played by Jordana Brewster) and even had a child with her. Now he decides to leave the gang and live with her far away. The final scenes are an emotional tribute to Walker and Brian however after further thought his character could have had a stronger exit. Now for the rest of the film the gang is on two missions. One is to fight Jason Statham’s new character of Dereck Shaw, brother of Owen Shaw from Fast Six that was put into a coma by Torreto. As Torreto and his gang fight Shaw they meet a new ally in Kurt Russell’s Mr Nobody, a shady government agent who gets Torreto’s crew to work for him to find a GPS tracker which can find anyone in the world. Despite some great action scenes the films multiple plots are hard to keep track of and at 137 minutes of exploding cars, helicopters, city streets it all becomes a bit too much. Lin was better equipped at handling action scenes in FF 3 – 6 with slower panning and longer edits. Unfortunately Wan films his action in quick cuts and it is hard to keep up with the space of the characters, cars, helicopters, etc in most of the action scenes. Wan shows some impressive camera angles in the first fist fight between Johnson and Statham however as the film moves on to car chases and explosions Wan suffers under the pressure to top the last films action creativity. With a confusing plot and action scenes with jarring quick cuts unfortunately Furious Seven ends up being one of the least enjoyable in the franchise. The film isn’t terrible with a moving tribute to Walker and a few enjoyable action scenes. It is disappointing as the previous entries have set the bar extremely high. Only Dwayne Johnson’s Hobbs saves the film with a bit of humour but he is also taken out far too quickly in the opening scenes of the film. 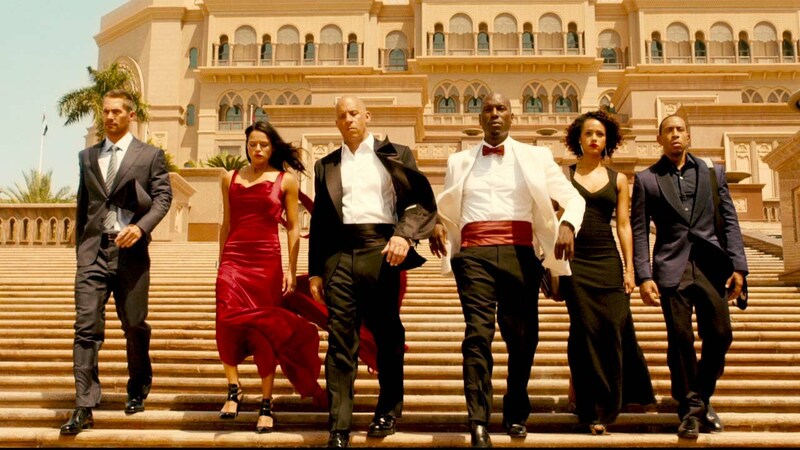 Ranking of the Fast and Furious Franchise. Max Waters: I spent my life trying to reduce the brain to a series of electrical impulses. I failed. Human emotion, it can contain illogical conflict. Can love someone, and yet hate the things they have done. Machine can’t reconcile that. 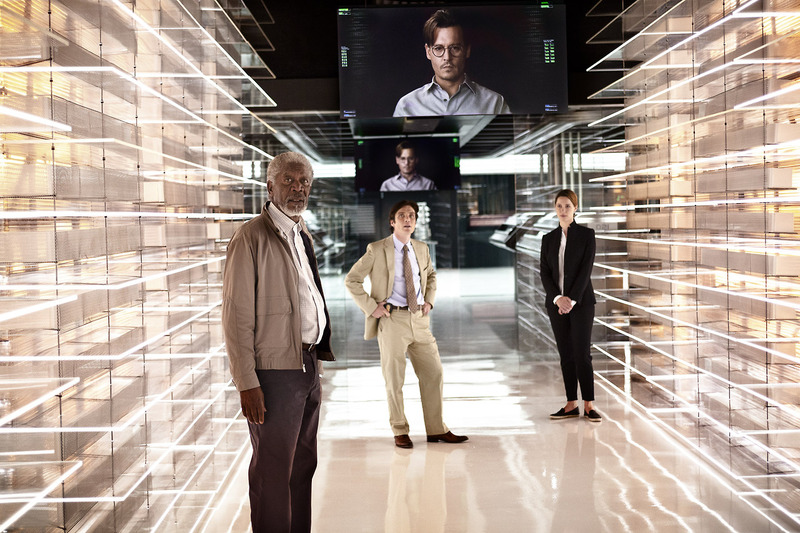 Synopsis: A scientist developing a new form of AI technology is shot at a conference. 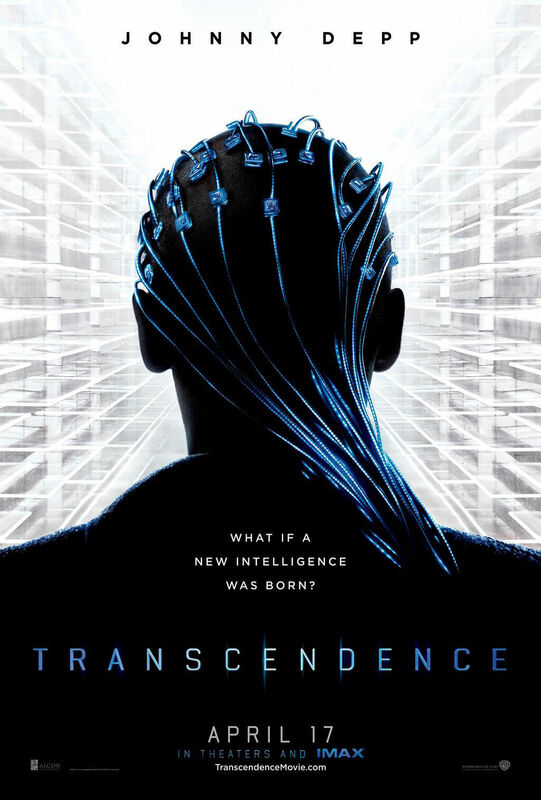 With only moments left to live he uploads his consciousness into his new technology as his wife helps him develop into a new form of artificial intelligence. A promising plot somewhat similar to last year’s Spike Jonze sci-fi drama ‘Her’, this film unfortunately doesn’t quite reach those heights. Opening with the clichéd narrative trope of the bleak ending we then rewind five years earlier to Johnny Depp’s Will Caster introducing his new technology PINN to a crowd of funders and fans of his work. We are also introduced to his wife Evelyn Castor (Rebecca Hall) who loves him and supports his work. A terrorist cell is also introduced that don’t want technology and computers to advance (for reasons unknown). One of the terrorists shoot Will with a poisonous bullet that makes him slowly die over the next few days. Will wishes to upload his consciousness into his new program and show the world how much his program will change the world. What follows is an over complicated clichéd story of the ghost in the machine. We have seen this before in 1993’s Ghost in the Machine and 1995’s Ghost in the Shell and I’m sure countless other science fiction films. This one doesn’t bring anything new to the genre with a plot that is filled with ambition but nowhere to go and a rather lifeless (pun intended) performance from Johnny Depp. This film had a lot of promise with the directorial debut of Christopher Nolan’s go to cinematographer Wally Pfister. The film’s visual composition is as beautiful as Nolan’s Inception and The Dark Knight however he could have used Nolan’s help with the narrative progression. Rebecca Hall and Paul Bettany also turn in great performances. “Wedded” – Angry priest after discovering future apes got married. 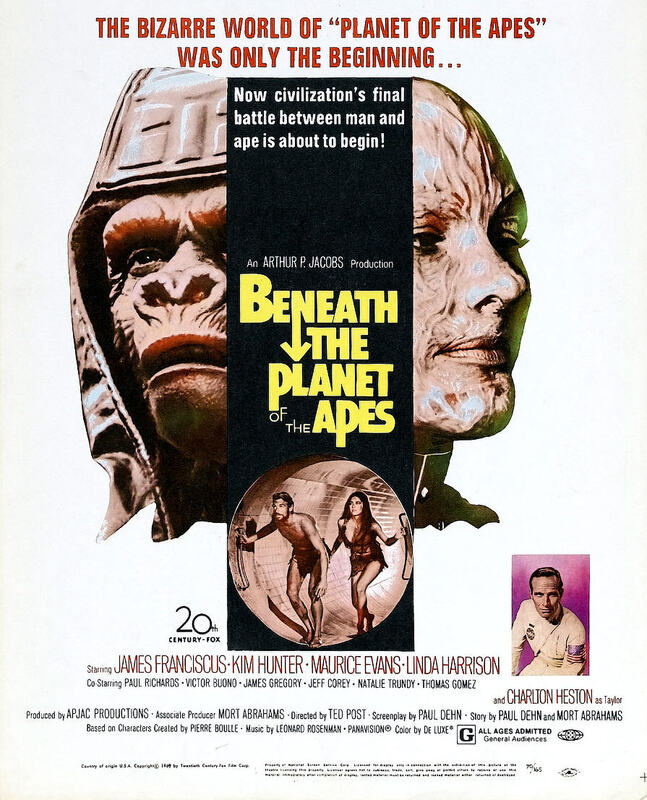 Synopsis: After crash landing on earth, Zira, Cornelius and Dr Milo discover a planet ruled by humans. 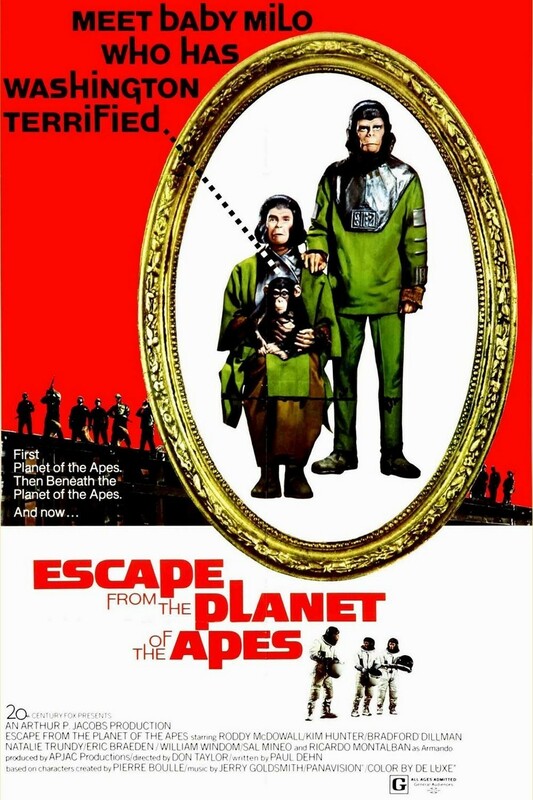 After the shocking finale of Beneath the Planet of the Apes, this film had nowhere to go but the time travel route. With shades of Lost Season 5 and Austin Powers this film mixes smart sci-fi with inane comedy. The film opens with a spacecraft drifting in the sea. Soon we discover that Cornelius, Zira and (new ape?) Dr Milo have crash-landed on earth in the past, prior to the rise of the planet of the apes. Their destination is in fact the 1970s, with the retro funky soundtrack and comedic tone this franchise has found itself in a new direction, one vastly different to the two films preceding it. It is not for the better, nor the worst, merely an interesting side trip with two characters we have learnt to love over the past installments. 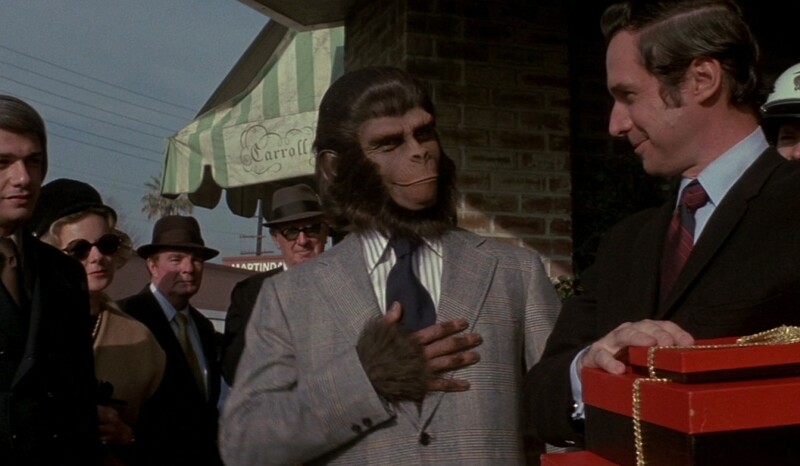 From the opening scenes we can see that the ape costume design and make-up effects don’t translate as well in a modern setting away from the post-apocalyptic ape future. Also the apes find themselves in a predicament that is a stark contrast of how the characters were treated in the previous films. Zira and Cornelius discover that humans once ruled the earth and find themselves trapped in a zoo only to be tested on and researched. Although not as violently as Charlton Heston’s Taylor was in the original. Soon the two apes are welcomed into society and are the talk of the town as everyone wishes to get to know these two apes. 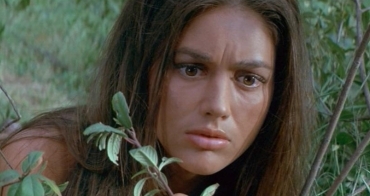 Their welcome is soon turned to darker terrain as Dr Hasslein (Eric Braeden), fears for his planets future as Zira confesses how the ape war ended. This is smart sci-fi, only it’s mixed with silly humour and obnoxious characters that it can’t succeed as the previous films did. With its lack of action and twists, the film is enjoyable however after the last two entries it fails to rise above. 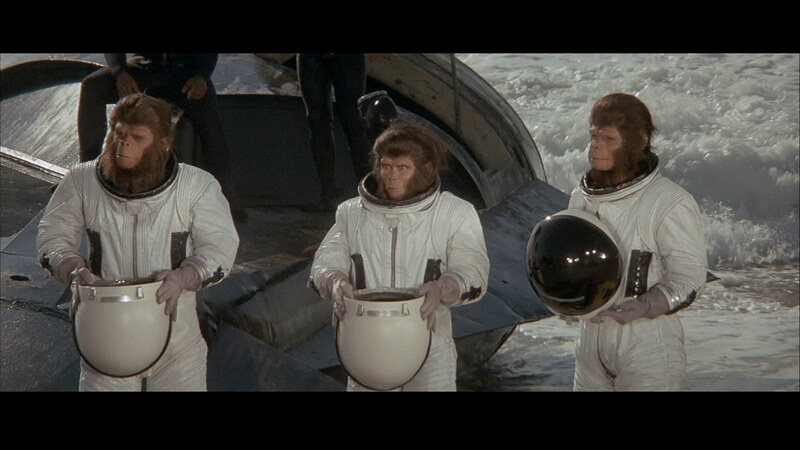 Synopsis: Astronaut Brent crash lands on a planet populated by humanoid apes. As he searches for his lost friend Taylor he discovers a buried New York city and a group of telepathic super-humans who worship an atomic bomb. Reading the above synopsis one can see how quickly this franchise went from curious to completely insane. After the shocking finale of the first film the producers were insistent on not only another shocking ending but also a shocking beginning as well. After several rewrites producers agreed on this story of apes waging war on humans, telepathic super-humans, religious satire and the most nihilistic ending ever put on film. This film drove the franchise into much more crazier territory even though the first film was already highly unusual and inventive. The film begins with a prologue recapping the events of the first films finale. Taylor and Nova then ride off into the Forbidden Zone, where they discover the earth crumbling around them. Taylor then disappears as Nova rides off for help. We are then introduced to the films new protagonist, Astronaut Brent. His ship has also crash landed and we discover he was on a rescue mission to find Taylor. Initially he goes through the same motions as Taylor went through in the first only without a crew to interact with. Things move faster for Brent as he discovers the apes and their attitudes towards humans. New ape General Ursus represents the evil militant leader archetype who hates man and wishes for war without completely understanding the situation. Dr Zaius, Zira and Cornelius also return and continue the same beats as the first film. 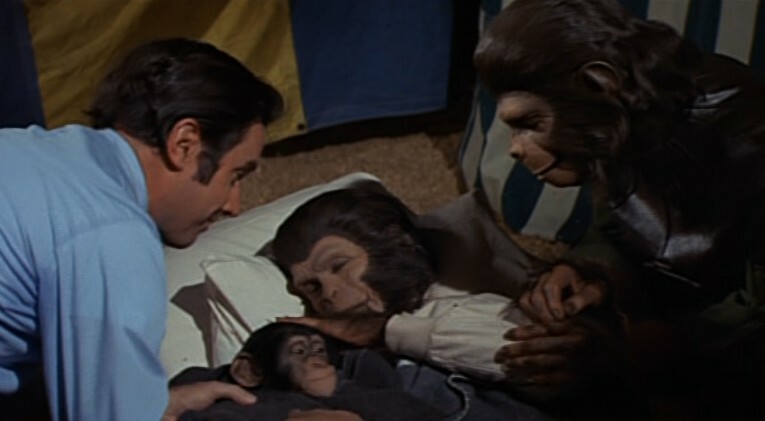 After Zira and Cornelius help Brent the film then begins to follow its own path. Brent and Nova discover that New York has been covered by the Forbidden Zone. As Brent searches on he discovers a group of terrifying telepathic mutant humans who question Brent through telepathy and get him to try and kill Nova. Brent eventually discovers Taylor who is held captive and they wage war on the mutant beings while the apes also declare war and the film ends on a shocking note that in my opinion is a lot worse than the originals. This film is tight paced, gripping and filled with enough sci-fi satire to fill a book. Not only is the race theme satired again with the apes versus the humans but also religion gets satired this time as well with the super humans reciting a hymn and prayer to the atomic bomb. Mendez: Glory be to the Bomb, and to the Holy Fallout. As it was in the beginning, is now, and ever shall be. World without end. Amen. It is unsettling to watch these mutants pray over an atomic bomb and you have to wonder what was going on at this time for the producers, director and writer to come up with this stuff. Nevertheless it does make for an enjoyable sequel, with intense direction from Ted Post, a more epic scale and enjoyable twists. The only downside is the new protagonist Brent played by James Franciscus, who isn’t given much to do with his character but to wonder around in a loincloth and fight apes. 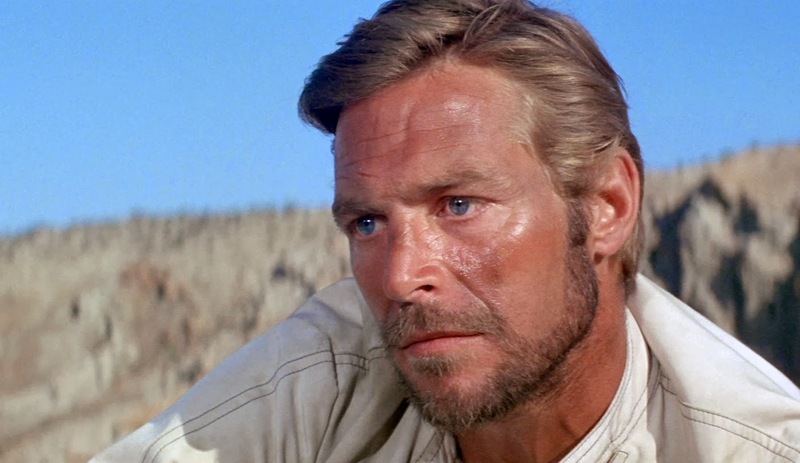 Missing is Heston’s bitter Taylor from the original who not only had a great backstory and hero’s journey, but also an incredible performance from Charlton Heston. Franciscus can’t match Heston’s intensity and once Heston reappears you have no care for Brent or his closing scenes. The film could have easily been Taylor’s journey and it is this missing link that detracts from the films overall enjoyment.